An original Daou heritage piece remade from the 70s the ear climbers design was decades ahead of its time. These ear climbers were descibed as 'Wonder woman earrings' by one male admirer! A style that is both strong and feminine. 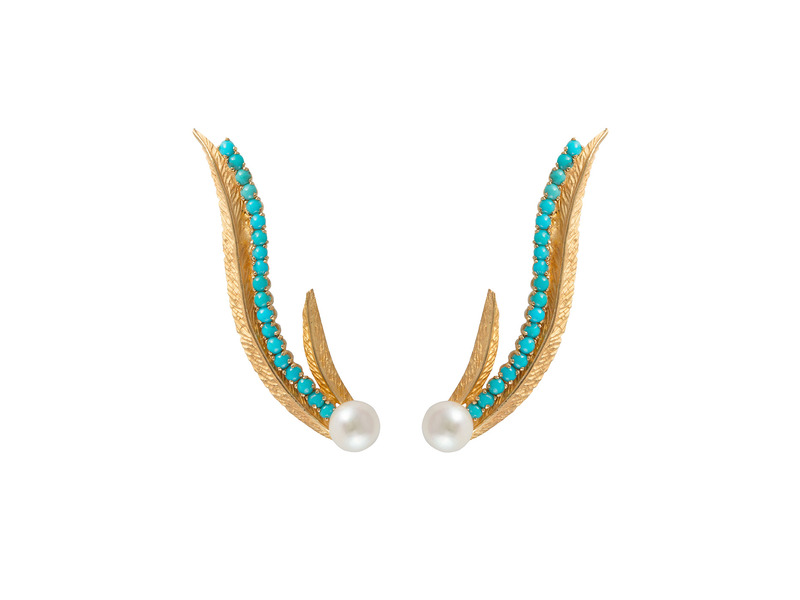 Hand textured 18 carat yellow gold, turquoise and pearl.